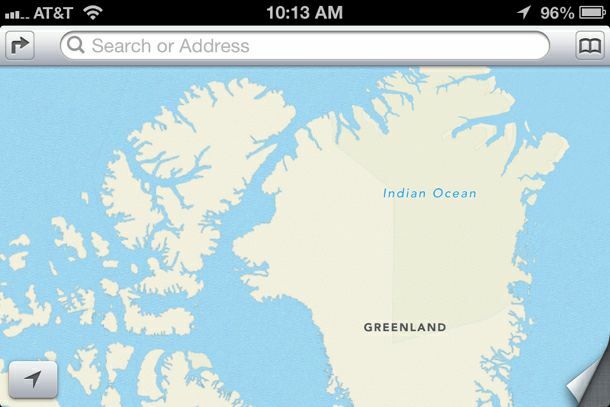 Just when the map war was being intensified between Apple and Google, there are reports that 'blatant error' have been observed in the Apple's new Maps App. Apple's new Maps app for its upcoming iOS 6 mobile operating system gets most of its maps from TomTom, instead of tested Google Maps. 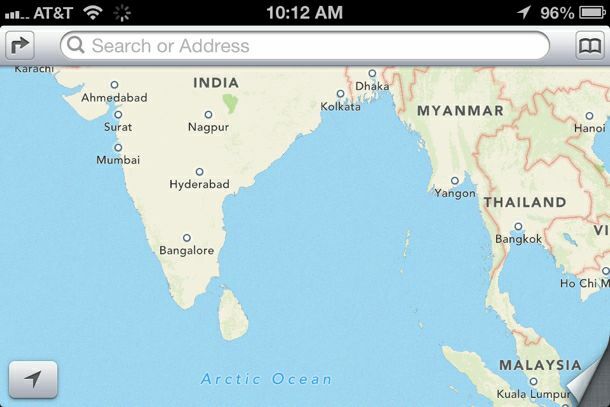 The Beta version of the Tom Tom maps is laced with many errors - so don't be surprise if you find Indian Ocean in Green Land or the Arctic Ocean just below Sri Lanka. Since this is the Beta version, one may ignore such 'innocent errors' but if the same are found in the actual application, the students may have to be careful qouting Apple Maps in their exams and assignments.